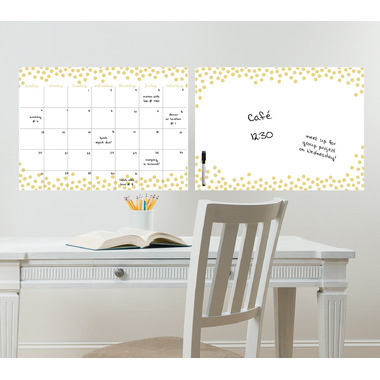 WallPops Gold Confetti Dry Erase Monthly Calendar & Message Board gives any room a posh spot to keep track of dates and notes. 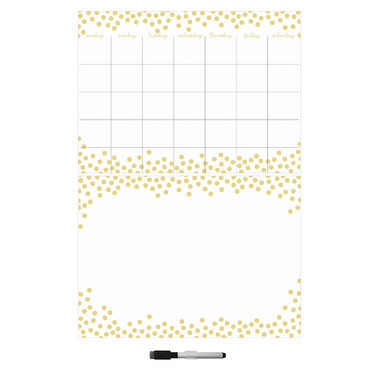 This dry-erase calendar and message board set features fun gold dots and a pretty font. The gold confetti decal comes also with a dry-erase marker so you can stay on schedule in style. Comes on two 17.5 x 24" sheets.